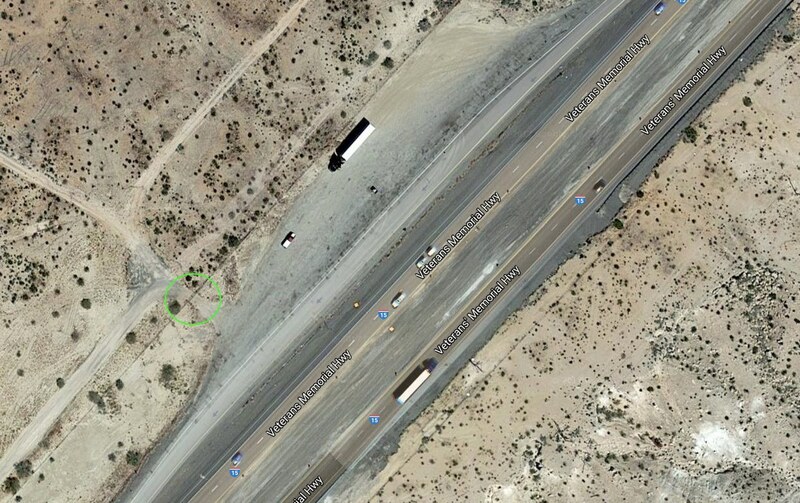 This arrow sits beside I-15 just north of Glendale, NV. You can see it from the highway. 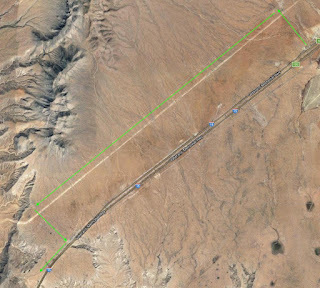 Here's a Google map centered on the arrow. It's also an easy drive that any car can handle. The green circle marks the arrow in the map below. 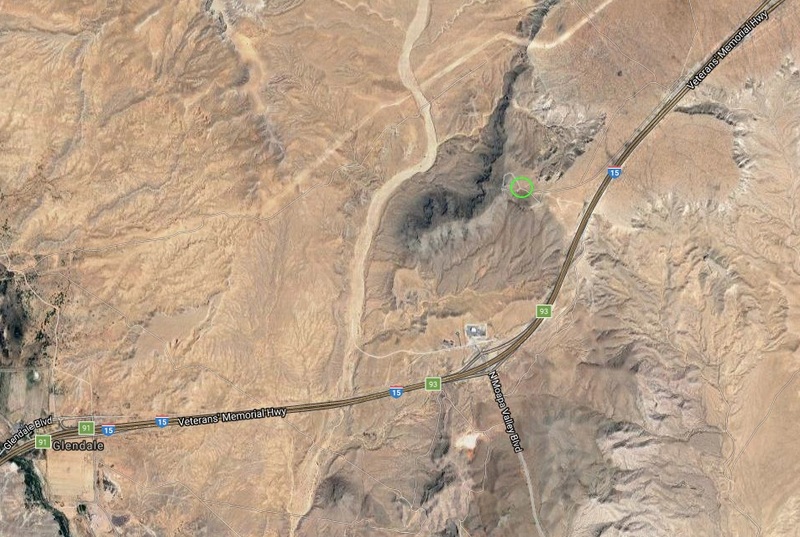 The easiest route is to exit I-15, heading south, at the truck turnout area. The gate for accessing the utility road is often open (circled in green below). Approaching from the utility road, you can almost see the arrow. There's a rough spur road that gets you closer to the arrow. 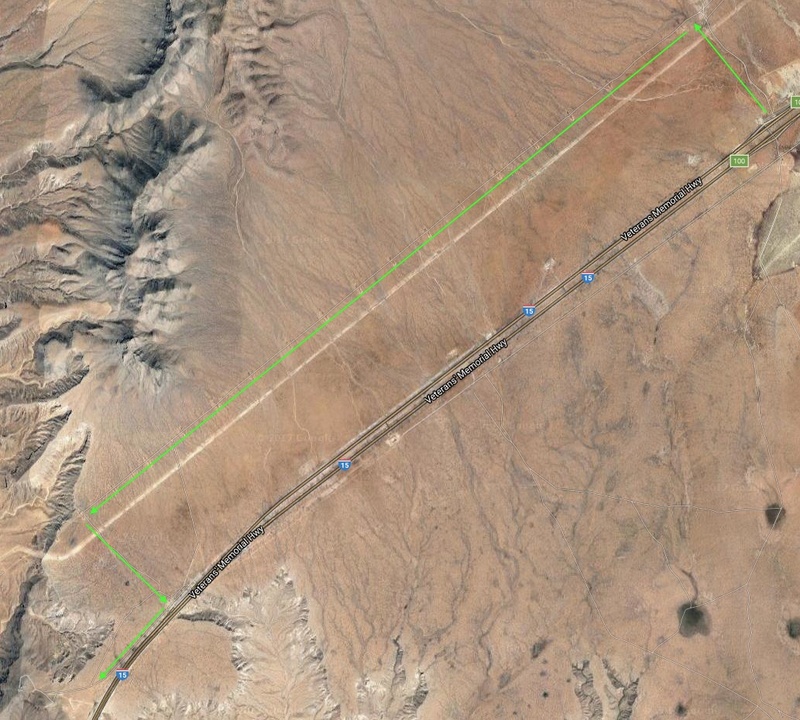 If that gate is not open, then you need to take the next exit to the north and drive the powerline road that parallels the highway a few miles to the north. 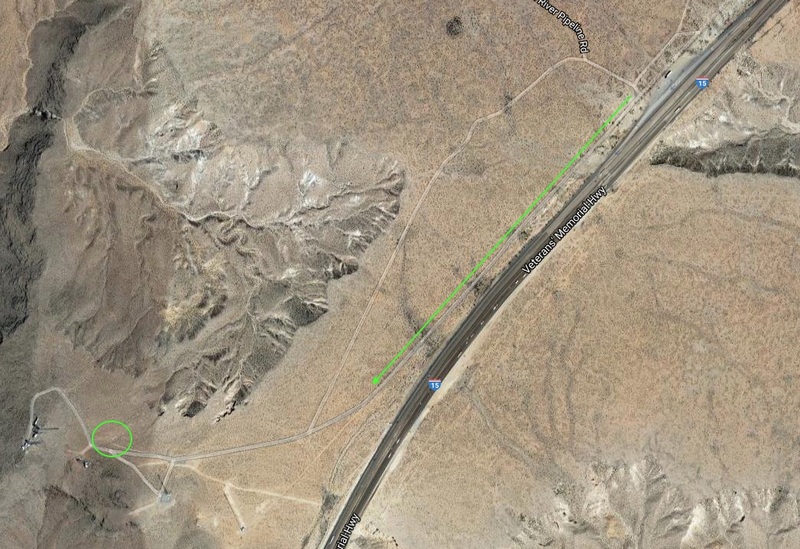 That powerline road is also known as the Kern River Pipeline Road. 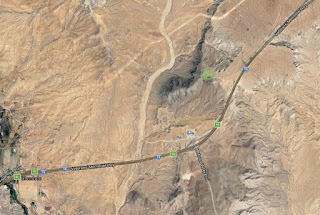 I've driven many sections of that road in UT, NV and CA. This arrow points toward beacon 32 near Mesquite, NV.